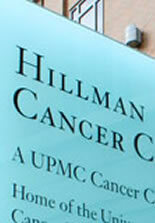 The Hillman Cancer Center at UPMC, located adjacent to UPMC Shadyside, functions as the UPMC’s cancer care hub and is one of the largest integrated networks of cancer physicians and health care specialists in the country. Directors of oncologic and breast imaging lead Hillman Cancer Center’s radiology services. Radiologists in various other subspecialties also rotate at this facility, and share radiology equipment resources with UPMC Shadyside. At the Hillman site, a dedicated 64-slice PET/CT and two fully-equipped PET/CT workstations are available, and the department continues to expand its PET/CT service, offering unified reports from physicians who are boarded in both nuclear medicine and radiology. In addition to cancer diagnosis and staging with PET/CT, radiology faculty are involved in a number of cutting-edge research projects to evaluate the effectiveness of early stage cancer therapies, especially in breast and colorectal cancers. Faculty are also engaged in investigating new hybrid imaging techniques, such as PET/MR/optical imaging.